Occupational Therapy - Capital Area Speech & O.T. Do you have concerns about your child’s development? Screenings can help you get answers to your important questions and determine if further occupational therapy evaluation is necessary. Screenings are not diagnostic. Evaluations provide standardized measurements of your child’s specific strengths and weaknesses. Evaluations are for diagnostic purposes, require two appointments to complete and a thorough developmental history and sensory profile be completed by parents. • Sensory Processing: Is your child sensitive to tags on shirts and seams on socks? Are they constantly on the go? Are noisy environments overwhelming? These are a few of the many signs that your child may be having difficulty with sensory processing. 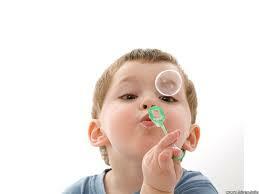 • Activities of Daily Living: Does your child have difficulty getting dressed, using a spoon, or brushing their teeth? An occupational therapist can help your child develop age-appropriate self-care skills. 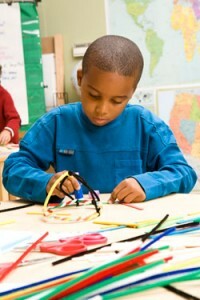 • Fine Motor Skills: Does your child have difficulty managing small materials, such as buttons? Does an awkward pencil grasp cause difficulty with writing? Do their hands tire quickly during writing or playing? Occupational therapy can assist your child to improve their fine motor strength and coordination. • Visual Motor and Visual Perceptual Skills: Do you notice your child has trouble with eye-hand coordination? Do they frequently struggle to find objects? Is copying from the board a chore? Do puzzles cause a lot of frustration? These are some of the foundational skills that are important for successful development of self-care and handwriting skills. • Handwriting: Does your child have trouble with letter formation or letter reversals? Are their words often sized or spaced inappropriately? An occupational therapist can help your child develop the fundamental skills necessary for successful handwriting. • Feeding Skills: Is your child’s diet very limited? Do they refuse to try new food flavors or textures? Through occupational therapy, your child can learn strategies to try new foods and expand their diet. • Play/Social Skills: Does your child struggle with pretend play? Do they play with toys in a repetitive manner? Is it difficult for your child to interact with other children their age? Occupational therapists engage your child in creative and social play in order to enable them to explore their world and develop new skills. • Coordination and Balance: Does your child appear clumsy at times? Is stumbling and falling a frequent occurrence? Is your child hesitant to play on the jungle gym? By improving postural control and righting reactions through occupational therapy services, your child can develop the confidence needed to participate in age-appropriate play. • Motor Planning: Is your child having difficulty in P.E.? Do they need extra help to participate in new physical activities? Participation in occupational therapy can improve your child’s ability to successfully plan motor sequences in their daily life.